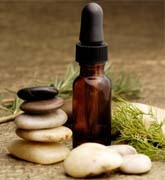 Origins.com believes in a holistic approach to healing the mind, body and spirit. They promote the adage that in order to be truly healthy, you must care for yourself on the inside and outside. To do that, they have created a plethora of health and beauty products that stimulate all of your senses. These products include skin lotions, bath & body products, glowing beauty products, enticingly scented fragrances, herbal hair care shampoos, men�s grooming products and much more. All of the products from Origins use only natural ingredients of the highest caliber. Pure essential oils and ingredients that are not chemically enhanced make up their soaps, lotions and fragrances. The prices may be a little higher than those you find in a department store, but the benefits greatly outweigh the cost factor. For instance, their products are endorsed by one of the country's leading medical doctors, Dr. Andrew Weill. He also happens to be a botanist and believes in the holistic healing approach. He took his medical skills and plant knowledge and teamed up with Origins to create the best products on the market for skin care, anti-aging formulas and sensory well-being. His line of products featured on the Origins website has been used and promoted by people like Oprah Winfrey. And you know if Oprah likes it, it has to be good! Other fantastic products that are exclusive only to Origins include a line of ginger based formulas. Ginger has been used in eastern cultures as an aphrodisiac and to promote vitality for centuries. Origins studied the positive results and made products of their own in order for the modern person to enjoy the benefits of ginger on a daily basis. Those products include body creams, candles, soaps and fragrances. Is there someone you would like to try these out on? Origins.com also offers all natural hair care products, a line of skin care products for men, makeup, aromatherapy products and bath and body products. Your skin will never be the same after using all natural products from Origins.com. The skin products have been tested and show that they smooth your skin, erase tiny wrinkles and reduce pores within 30 days of using! If skin products work that quickly, imagine how fast your whole body can feel great by using all of their products! Special offers from Origins online may include free shipping around Christmas, Mother's day and other holidays. Other special services from Origins.com include gift-wrapping, gift cards, free samples and color selecting tips for all of their products. They make it so easy to shop, why wait until later to enjoy their products. Don't put off making yourself feel great another day. You deserve a reward! Splurge a little and see all of their products that can make you feel better now. Your glowing skin and healthy spirit will thank you for trying. However, if you are just in the mood for free beauty samples, then we got you covered. Just browse over to the beauty samples page and go through the many listings of various beauty samples and offers.